What is a Featured Auction Placement? 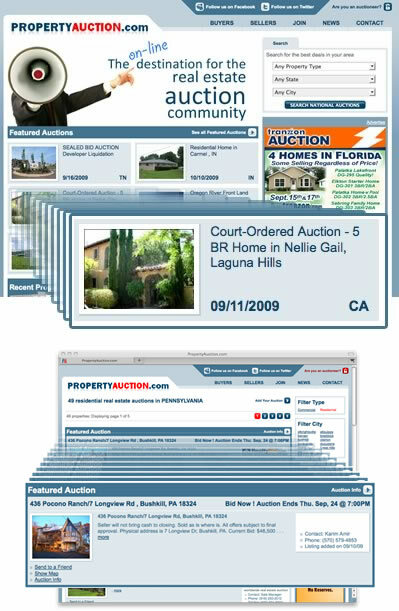 After you have posted your auctions manually or by using our Auto-Post feature , you can take advantage of our Featured Auction Placement where your real estate auction will be featured on the top half of the PropertyAuction.com homepage. This placement guarantees you maximum exposure in front of people who are seeking out real estate auctions. Get in front of the highest concentration of people who actively seeking out upcoming real estate auctions on the internet. Be the first thing people see when visiting Property Auction. Set your auction apart from others on Property Auction.